How is the Fallow Corner property market performing? We recently secured a three year long let on Heritage Avenue! We recently secured a very long tenancy of 18 months on Beaufort Park! We recently secured a very long tenancy of 18 months on Midwood Close! 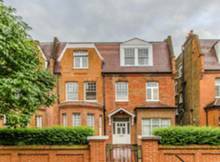 We helped the landlord of Anson Road to avoid a void period and leaving the place empty by securing a tenancy as soon as the property was available! Within two weeks of the landlord instructing us to let Aberdare Gardens, we had a tenancy secured!